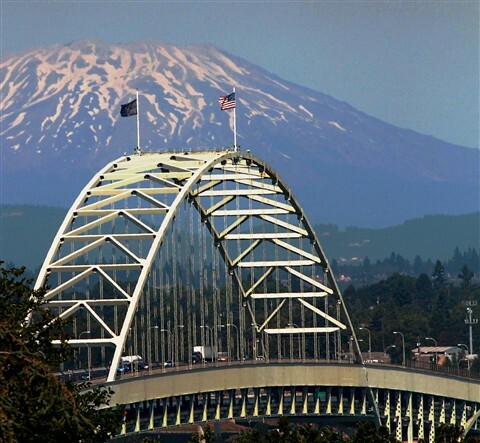 This is taken from the Vista Bridge (aka 'Suicide Bridge'), looking northeast, toward the volcano that erupted in 1980 - St. Helens. In the center is the Fremont Bridge, which crosses the Willamette River. The Willamette runs through the center of Portland, Oregon.